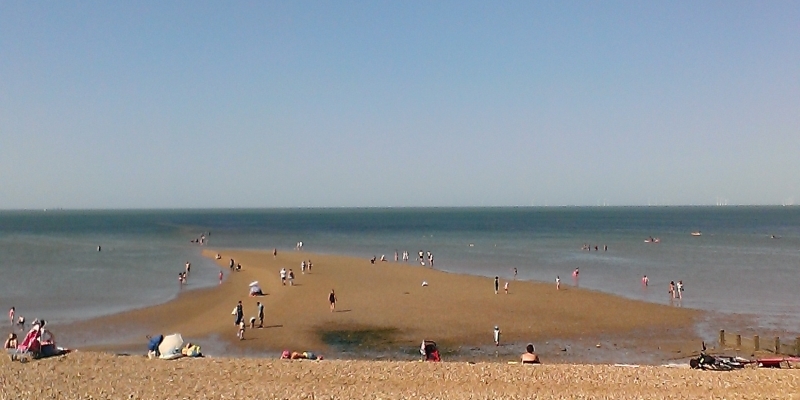 Just east of Whitstable is Tankerton, where a wide grass bank slopes down to the shingle beach. There are rows of highly sought after wooden beach huts at the base of the slopes, whose past owners have included Tracey Emin, and Charles Saatchi. This beach is dog friendly all year round with a restricted area between the first house and start of the beach huts at Safety Point 14 – boundary lines are marked on promenade.